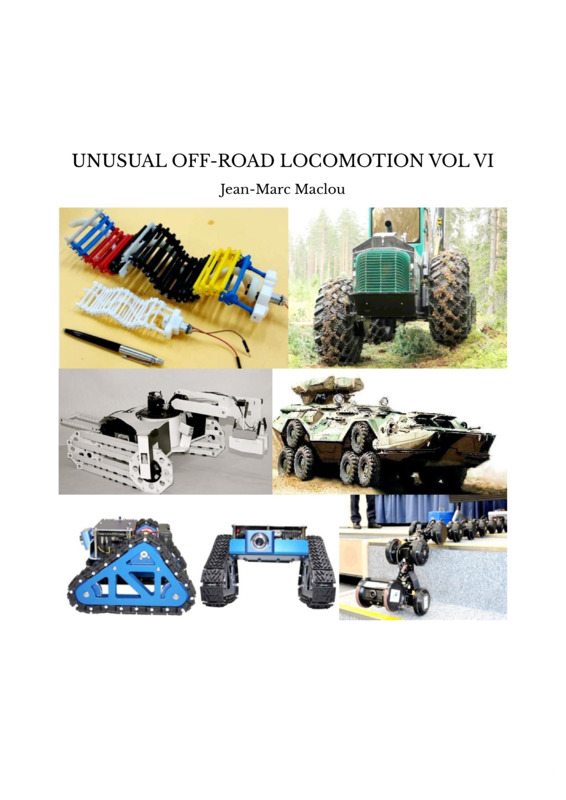 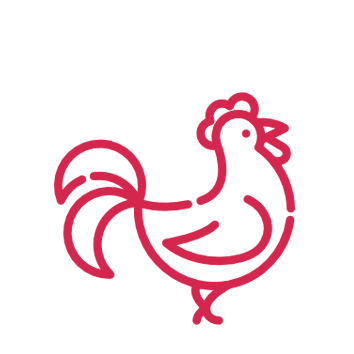 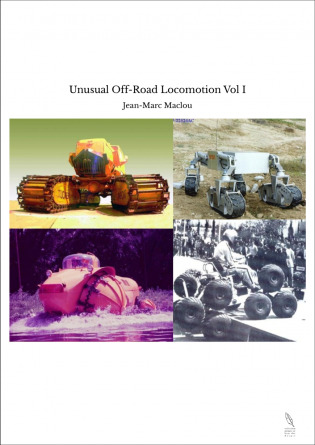 The Volume VI of the series 'Unusual Off-road Locomotion for Enthusiasts' is, as the previous volumes, a directory of pictures, private or from the Internet, of off-road vehicles of any kind in the world, classified according to their mode of locomotion. 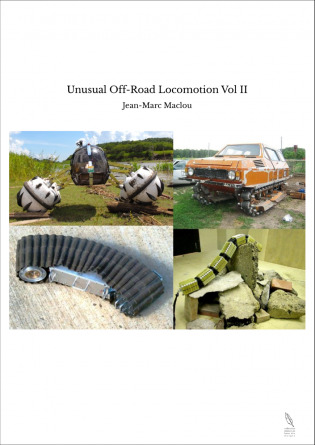 There are more than 11 000 pictures in the whole site www.unusuallocomotion.com from which are issued the different volumes. 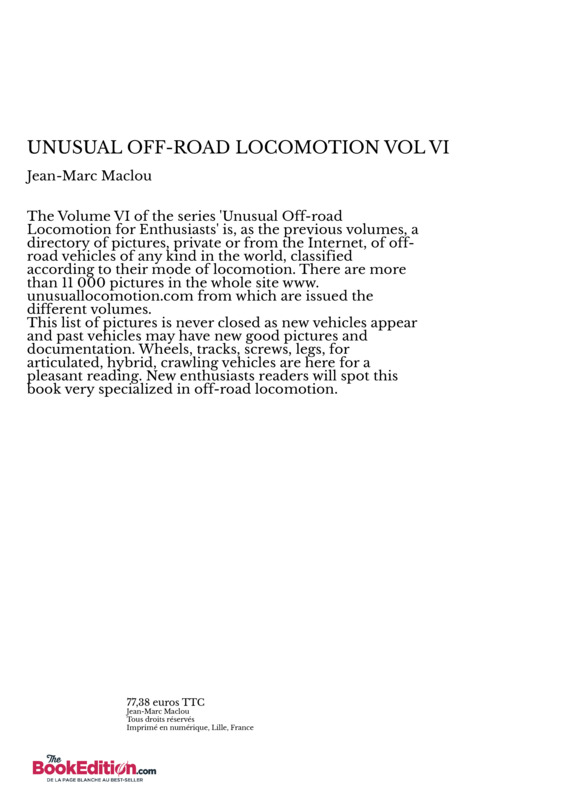 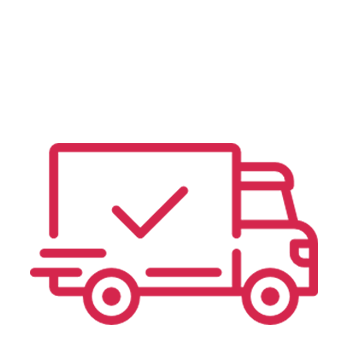 This list of pictures is never closed as new vehicles appear and past vehicles may have new good pictures and documentation. 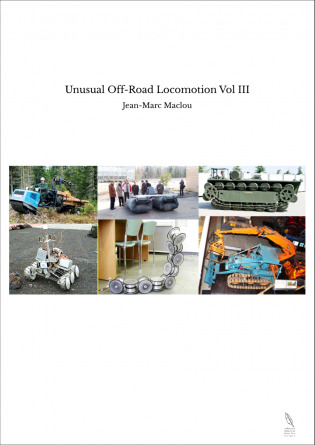 Wheels, tracks, screws, legs, for articulated, hybrid, crawling vehicles are here for a pleasant reading. 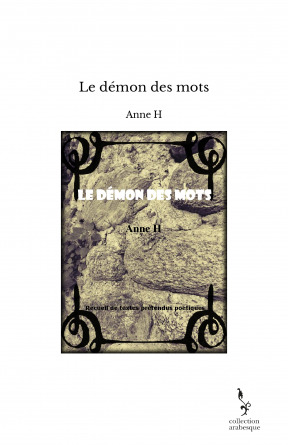 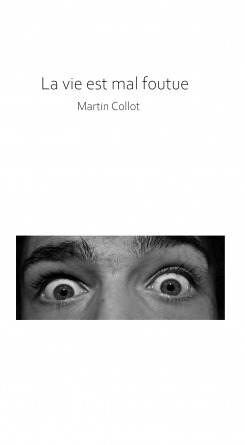 New enthusiasts readers will spot this book very specialized in off-road locomotion.